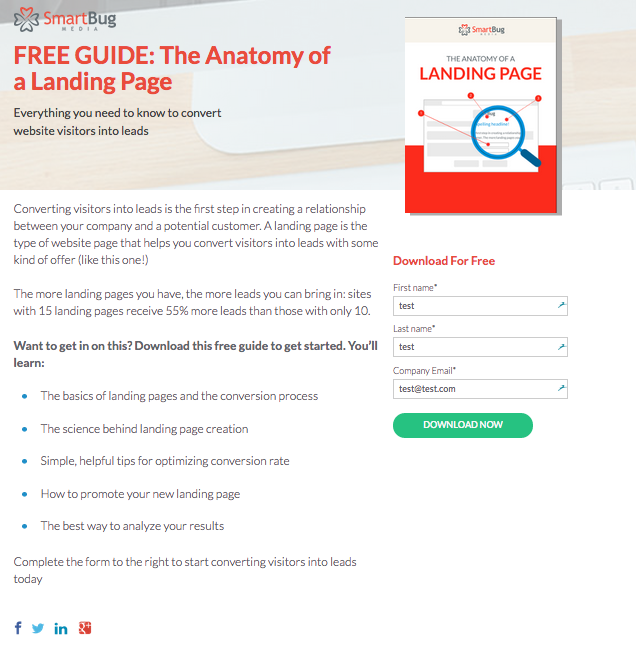 Back to Basics: What is a Landing Page and How Do They Work? Converting visitors into leads is the first step in creating a relationship between your company and a potential customer. The more landing pages you have the better. 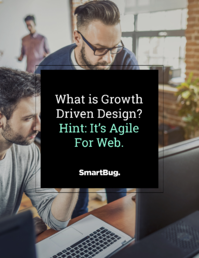 In fact, HubSpot conducted a recent study that showed that marketers saw a 55% increase in leads when they increased the number of landing pages on their site from 10-15. This data alone tells us that landing pages are important, but if you aren't sure what this means for your company, do not fret. Everything you need to know about what landing pages are and how they work is right here. The sole purpose of the landing page is to convert visitors into leads (ie a homepage with a form on it does not count as a landing page because it serves other purposes as well). If you remember anything from this, remember that a landing page is any page on your website with no navigation and form used to convert visitors into leads and every site should have them. Simply put, a landing page is any page with no distractions that has a form on it. We use money every day to pay for goods and services. The concept of monetary value can be applied to the logistics behind a landing page in that you’re exchanging equally valuable information depending on which side of the exchange you’re standing on. A visitor will fill out the form on the landing page because they believe the content they are accessing will be valuable to them. On the opposite side of the coin, a marketer will gladly give the piece of content to the site visitor because the valuable information they desire is the information the visitor provides on the form to use in future marketing efforts. It’s a win-win situation. STEP 2: The person fills out a form which converts them from a visitor into lead. STEP 3: The information from the form fields is then stored in your leads database. If you use a tool like HubSpot, you’ll be able to see what offer the lead converted on, when they converted, and other interactions they’ve had on your site. This information will allow you to nurture this lead in a more targeted way by helping you decide which marketing actions are most appropriate to take. A nurtured lead is more likely to become a marketing qualified lead (MQL), and move through the marketing funnel faster. This helps show the ROI of your marketing efforts and keeps your sales team happy. If you're not already, do you think you will start using landing pages? Carly Ries is a Senior Inbound Marketing Consultant for SmartBug Media. 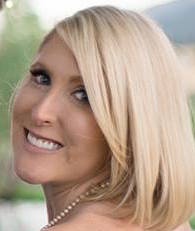 With over 7 years of marketing and account management experience, Carly helps clients develop and implement inbound marketing strategies to grow leads, conversion, and revenue. Read more articles by Carly Ries.